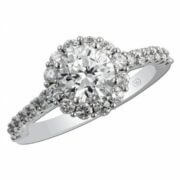 3 Stone Bridal: 7/8 C TW. 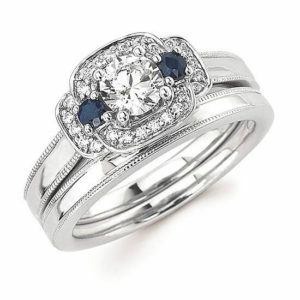 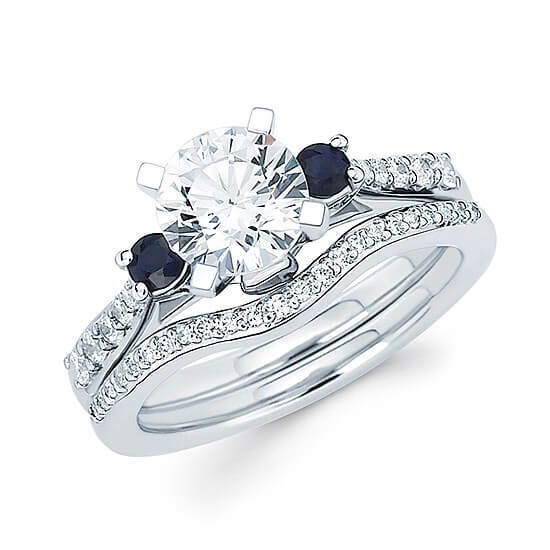 Sapphire & Diamond Semi Mount available for 1-1/4 Carat Round Center Diamond (center stone sold separately) in 14K Gold. 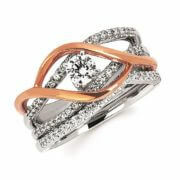 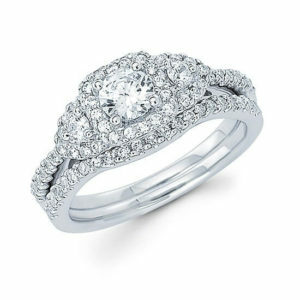 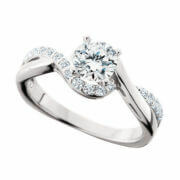 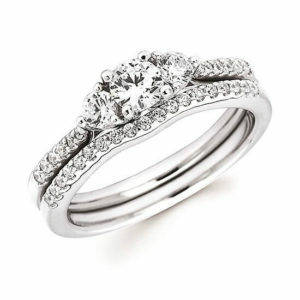 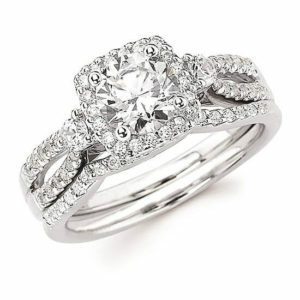 Center crown size: 1-1/4 Carat (As shown & priced). 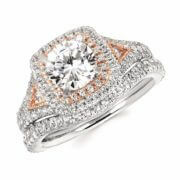 Find Your Center Diamond Here!